The Russell neighborhood is full of inspiring, compassionate and diligent residents. Below are the residents we have spotlighted so far. Contact us here if you would like to suggest the next resident for us to interview. Congratulations to Leah Pugh – a former Beecher Terrace resident, and now proud owner of a new home in Russell. 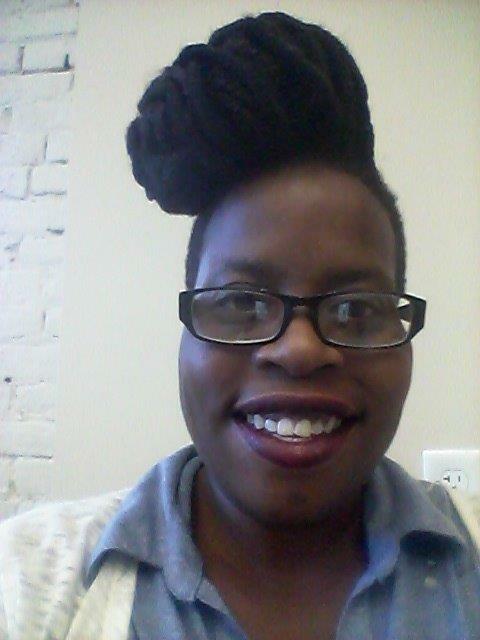 Leah realized her goal of buying a home in part by attending the Louisville Urban League’s homeownership counseling program. LUL’s program is designed to assist families in building and/or establishing credit as they focus on budgeting and savings, with the end goal of purchasing a new home. 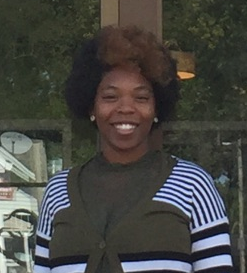 The other program that helped Leah realize her dream of owning a home s the Louisville Metro Housing Au-thority’s Section 8 Homeownership Program. Residents who meet the program’s eligibility requirements are able to use their Section 8 vouchers towards the purchase of a home. For more information about the LUL’s homeownership counseling program, visit https://lul.org/hfe/hoc/ or call 585-4622. Meet Beecher Terrace resident Whitney Whitehead. Whitney is a proud, single mother of three beautiful children- Grace, 4, Hazel, 6, and Mikal, 11, who all attend a Christian private school, E. L. Minnis Jr, Academy. Whitney believes in providing her children with the best education possible while ensuring that their lives and education are centered on Christ. As a family, they enjoy going to church together. The children also enjoy sports, gymnastics, and dance. Ms. Whitehead began volunteering her time at Greater Louisville Youth for Christ to serve her community. Through her dedication and sincerity to help others, she was offered a part-time permanent job and has served as their office facilitator for two years. Greater Louisville Youth for Christ (YFC) is an organization located in the Shawnee neighborhood whose goal is to “develop more leaders… better leaders… in Christ-sharing relationships with lost and hurting young people”. Greater Louisville YFC embraces church and community partnerships for transformation of individuals and neighborhoods on every level: spiritually, relationally, physically, educationally, and socially. As of this March, Whitney will have been a Beecher Terrace resident for four years. While living at Beecher Terrace, she has been appreciative of maintenance promptly taking care of any issues she has had in her apartment. She is also grateful that she gets along well with her neighbors. “Living in this community has helped me gain more insight into the real struggles that people have,“ says Whitney. She is proud of the positive actions that she sees people make every day for their families and community despite those struggles. Whitney is looking forward to receiving her Bachelor’s degree in Sociology from Simmons College in May of this year. Her dream is to work with single mothers. She wants to encourage them to reach their goals and have a relationship with Christ. 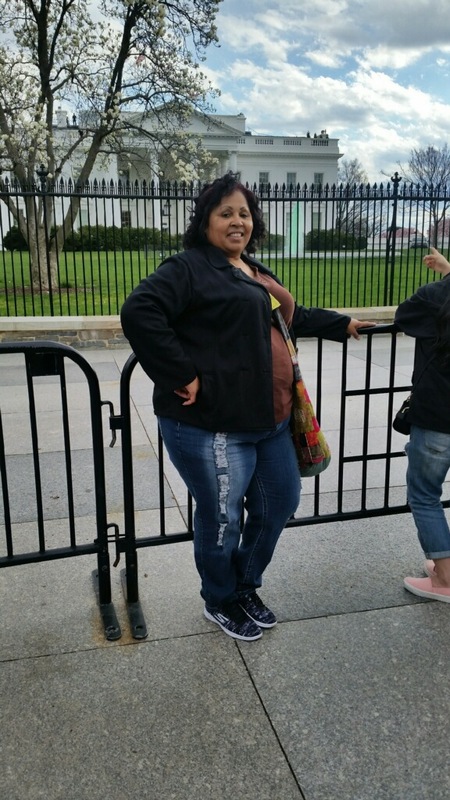 Whitney also wants to help empower them to care for and be highly involved in the lives of their children. She knows that this may require assisting them in working through traumatic situations and connecting them to jobs or other resources. She is excited to take on these challenges and to continue to give back to her community. Whitney welcomes the new Beecher Terrace development. She wants to see a continued decrease in crime, updated apartments and housing options in the newly revitalized community, along with grocery stores with fresh fruits and vegetables. If you’ve spent any time in the Russell Neighborhood, you’ve probably met Jackie Floyd. A lifelong resident of West Louisville, Floyd has called the Russell neighborhood home for more than 27 years. And during this period, she’s spent quite a bit of time advocating for many of the changes that are currently underway. Floyd’s commitment to be an advocate for change can be traced back to her childhood and growing up in the Victory Park neighborhood. Community pride, a willingness to look after fellow neighbors and a strong family unit are some of the characteristics that come to mind when she reflects on her younger days in this historic area. Now, as a neighborhood liaison for the Center for Neighborhoods who is charged with working with local leaders across the community, Floyd sees the same characteristics in the areas where residents are actively engaged in improving their neighborhoods. That is one of the reasons why as an organizer in the newly created Russell Neighborhood Association, Floyd has worked to include time for networking during the group’s monthly meetings. 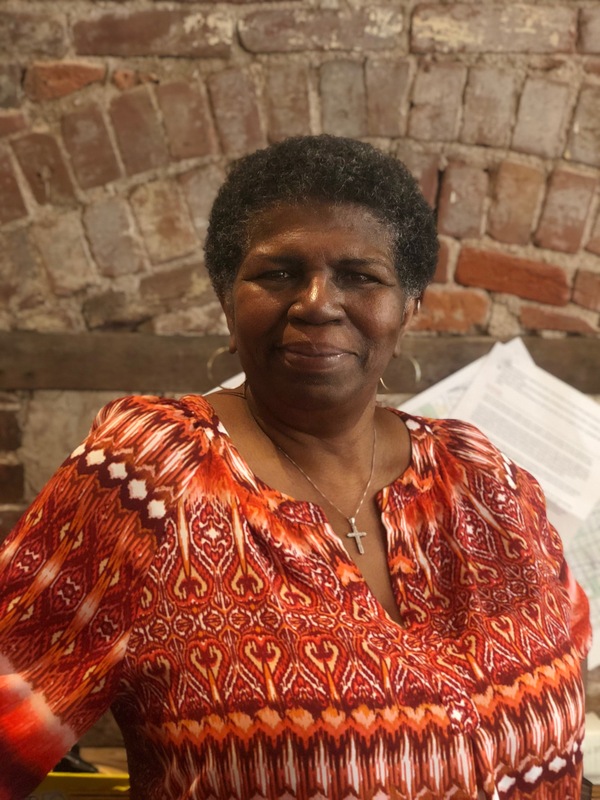 In addition to time for networking, Floyd has also pushed for other activities and events that bring Russell residents together—a need she first identified when she served as an outreach worker for during the Choice Neighborhood Initiative, now known as Vision Russell, planning process. 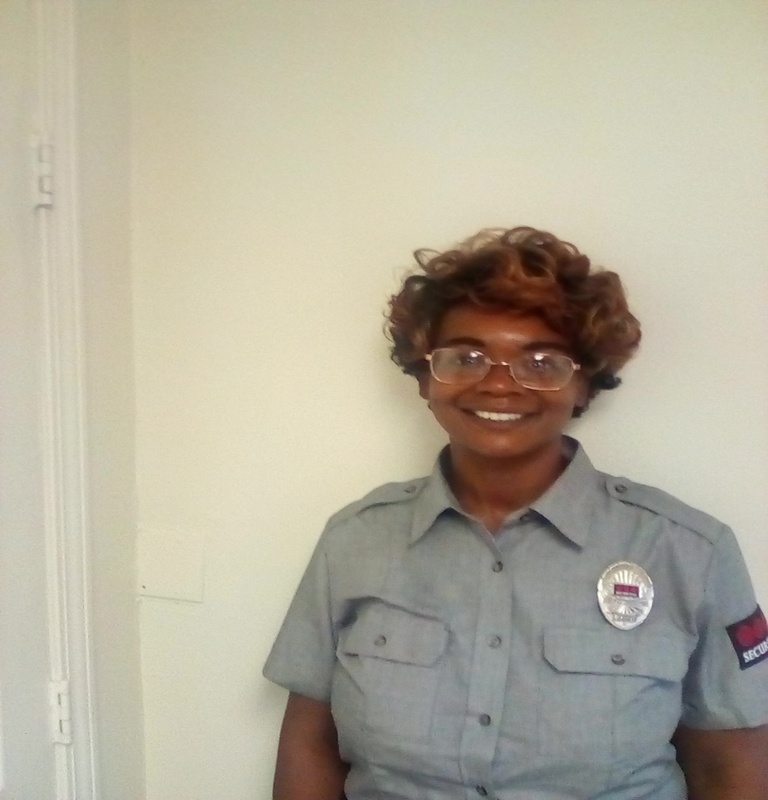 Whether it is the recent neighborhood “Christmas Caroling in Russell” event she helped to organize during the holidays or soliciting feedback from fellow residents on the revitalization efforts taking place throughout Russell, Floyd says she is motivated by one simple goal. 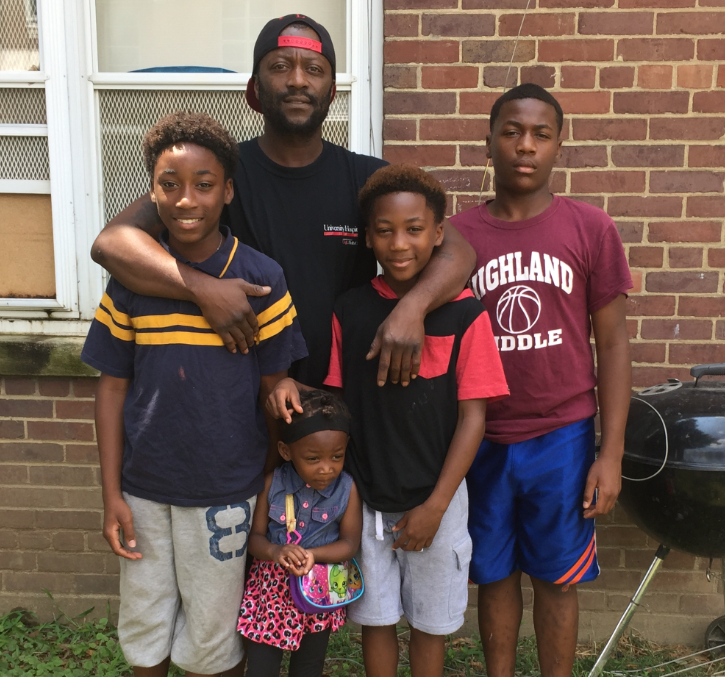 Meet Shawn Walker, a resident of Beecher Terrace. Shawn previously lived at Iroquois, and relocated to Beecher in 2010. Shawn is a single parent of four beautiful children ranging in age from 2 to 14. He would do anything for his children and admits that being a full-time parent requires a lot of sacrifices. “I sometimes forgo my own wants and needs, because my children’s needs come first”. To return his appreciation, Shawn tries to get engaged in the community in some way on a daily basis. He volunteers at the Baxter Community Center and participates in workshops at the local library with his children. He also plans a lot of outings with his family. They enjoy visiting places during the summers using Louisville Metro’s “Cultural Pass”, along with playing football and basketball, swimming, going to the park, and having cookouts together. 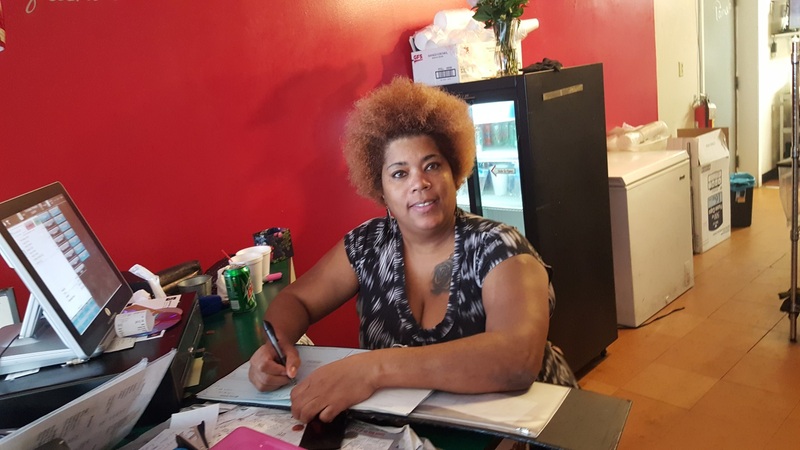 Ebonique Burns, a mother of three and a long-time resident of the Russell and Shawnee neighborhoods, is always looking for ways to be involved in the community and to improve the Russell neighborhood. So it comes as no surprise that when there was an opportunity to participate in the Russell Neighborhood Institute, she jumped at the chance. The Russell Neighborhood Institute, a seven- week program designed to connect neighborhood leaders with other members of the community was offered by the Centers for Neighborhoods last fall. The institute also connected participants with resources and partners who could assist in moving participants’ ideas into action. Class members met once a week and work on a number of short and long-term projects to help improve their community. Burns says that she was motivated to participate in the training after she returned to Louisville and saw the decline that was taking place throughout the area. Because she comes from a close-knit family and many of her relatives live within walking distance, she decided to become involved in activities that are improving Russell and helping children succeed, rather than moving to another neighborhood. Burns hopes that she’ll learn new ways to tackle these challenges through another program she is now participating in at the Center for Neighborhoods. Called the Neighborhood Institute, this 13-week leadership program is allowing Burns and other participants to deepen their understanding of the needs within the area and develop projects that are providing needed resources to Russell residents. 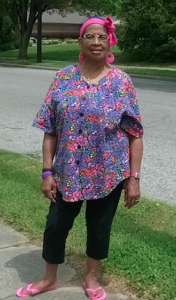 Meet Nannie Bibbs – the mother of four children and two grandchildren, and a resident of the Russell neighborhood for 50 years. She grew up in Louisville attending Booker T. Washington Elementary, Jackson Junior High and Russell’s own Central High School. After earning an Associate Degree in Early Childhood Education from Jefferson Community College, she took a position in Russell as a teaching assistant at Byck Elementary School. Nannie enjoys serving her community in a variety of ways. 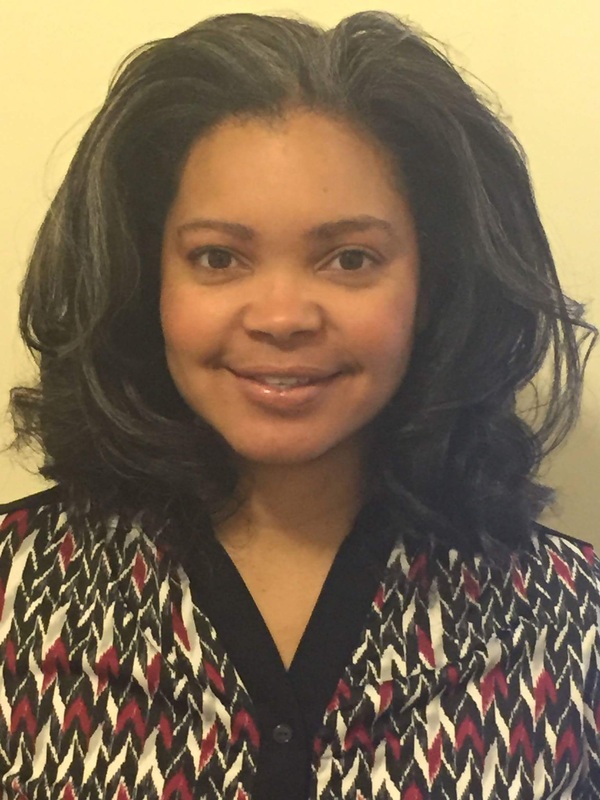 She is an Associate Minister of the Baptized Pentecostal Church, and recently became a board member of the Kentucky Alliance for Racism and Repression and One Voice Prayer Movement – a group that prays for our community, city, nation and world leaders. In the very heart of Russell, at the corner 18th and Muhammad Ali, is unique comfort foods restaurant where family and friends come together to share special moments, talk politics or just enjoy each other’s company while eating a down home meal or a mouth-watering dessert. Sweet Peaches is a deli-type restaurant owned by Pamela Haines and has become known throughout Louisville for one-of-a-kind hearty sandwiches, decadent cakes and refreshing iced teas (she even has vegan options). One day, Haines, or “Peaches” as she is sometimes called by her customers, was curious about several young men who came to her restaurant on a regular basis. She asked them if they had children and all replied they did but don’t get to see them much because of “drama” with their children’s mothers. Knowing how important it is for fathers to have an active presence in their daughters’ lives, and how that relationship affects how their daughters perceive and interact with men, Haines told the young men she was going to throw a Father/Daughter Valentine’s Day Dance. So on Valentine’s Day, fathers escorted their daughters to the dance that Haines had arranged across the street from her restaurant at the Kentucky African American Heritage Center. “Everyone was dressed up and looking good – I’ve never been in a room with so many beautiful and happy princesses, ” beamed Haines, who could see the happiness on the faces of the 120 fathers and daughters on that snowy Valentine’s Day as they danced and celebrated their love. Thank you Peaches for going the extra mile for the families in the community. We appreciate you. There are few people who possess the maturity needed to go from the gentle and patience required to grow a garden to the hard hitting and athletic prowess needed to pursue a professional boxing career. But for Troy McLemore, an 18-year-old senior at Liberty High School who has lived in Beecher Terrace for the past nine years, the transition between the two worlds comes naturally. In fact, going between the two worlds allows him to enjoy his two favorite past times that have helped to change his life. 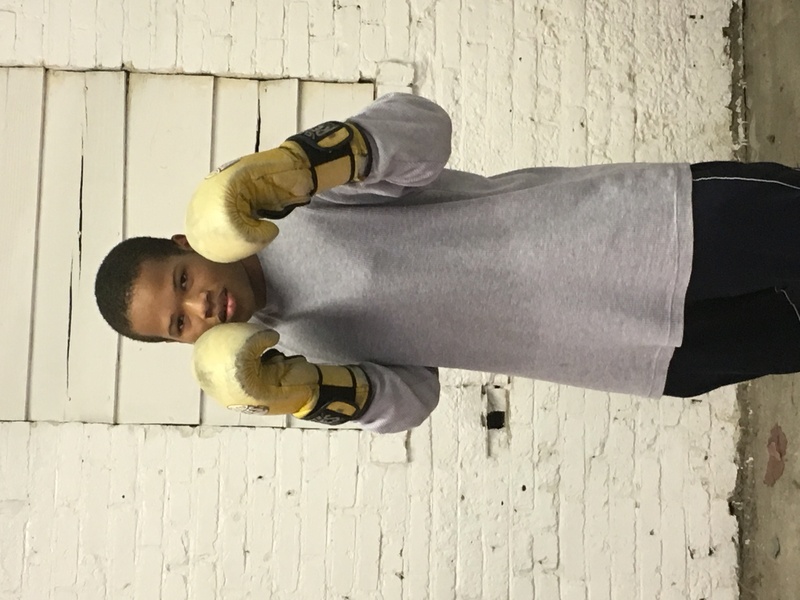 McLemore’s improved health has led him to take up boxing at one of the area’s premier boxing gyms—Louisville TKO Boxing/Top Notch Boxing. The non-profit sports facility has two noble missions: to help kids train and compete nationally against some of the country’s top boxers and to keep them off the streets by providing structure and academic support that will allow them to succeed in the classroom. Boxing, coupled with a greater focus on fresh, whole food options, has produced significant changes in Lemore’s life. “When I first started at TKO, I weighed 270 lbs. Since that time, I’ve lost about 85 lbs. 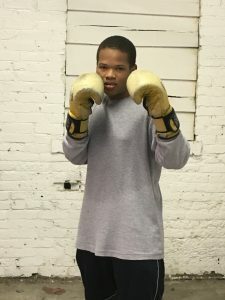 and I am more focused on what I want to do after I graduate,” said McLemore “Boxing keeps me grounded.” The high school senior is considering going to technical school to become an auto technician after graduation. McLemore’s transformation began several years ago when he joined Right Turn—an organization that is focused on getting young men who have been involved with the criminal justice system for minor offenses on a different path. Administered through Kentuckiana Works, the program pairs participants with a mentor, provides classes and training and helps them to develop a plan for moving forward. McLemore credits his mentor, Kentuckiana Works executive director Michael Gritton, with much of the progress he has made. As McLemore prepares to graduate from high school and take the next steps towards his goals, he says that he has been following many of the changes that are being proposed to the Beecher Terrace community and the Russell Neighborhood. He believes that the focus on changing the area is long overdue and hopes that it will help to improve the community. Mechele Turner loves living in Beecher Terrace. She realizes this might sound strange to many in the community whose opinion of this 76-year old housing complex is shaped solely by media reports. But for Turner, there’s no better place to call home. Yet, despite her love for this historic area, she readily admits there are many things that “must change” to help transform this development into the neighborhood residents want and deserve. That is why she has taken great interest in the Russell Choice Neighborhood Initiative and hopes that action on some of the key issues the group is tackling can move forward quickly. Turner, who has lived in Beecher Terrace for almost 15 years, says she is pleased to see the Louisville Metro Housing Authority and members of the task forces working to receive feedback from the Beecher Terrace and Russell communities, and hopes the groups will continue to work to keep residents engaged in the planning process. This includes door to door canvassing, having more community events and meetings and providing written communication that helps answer questions and dispel many of the “untruths” that are beginning to circulate. As work continues on developing a transformation plan, Turner hopes the many good qualities that currently exist within Beecher Terrace and Russell won’t be over-looked. Whether it is the beautiful trees or the way residents rally to help a neighbor or child in need, Turner believes there is much to be proud of in her home. If you made a list of individuals who have served as a champion for Louisville’s African American community, you would have to include the name Manfred Reid Sr. A longtime resident of Beecher Terrace and board member for the Louisville Metro Housing Authority, Reid has spent several decades working to revitalize and bring increased economic opportunities to west Louisville and its residents and to be a voice for those whose needs and ideas are often overlooked. Now, as LMHA, Metro Louisville and various community partners prepare to implement the transformation plan that recently helped Louisville land a $29.5 million Choice Neighborhood Initiative grant from the Department of Housing and Urban Development, Reid hopes the changes will go beyond the physical improvements the funding will help to bring about. Born in Hazard Kentucky, Reid relocated with his family to Louisville’s Parkland neighborhood in 1944. Reid says that during these early years many of the values that have shaped his life and his commitment to working to bring about economic equality and social justice for African Americans was instilled by his mother. These qualities helped him survive when he became an orphan at the age of 10 after both parents passed away. To support himself and his siblings, Reid began working at a local laundry and other places that would hire him to perform odd jobs. Throughout his school-aged years and despite the challenges that come from assuming the role of head of the household as a child, he remained committed to education and went on to graduate from Central High School and attend Kentucky State University. Reid also drew on these qualities during other periods in his life including when he and several friends were roughed up and mistreated by a police officer. When it was announced that the police officer would not face any disciplinary action, violence erupted throughout several neighborhoods. While Reid and his friends did not participate in the protest, they were charged with criminal conspiracy. The group was later acquitted and became known as the “Black 6” but not before Reid lost many things that he cared about including his home and marriage, a successful career as a real estate broker and a relationship with his children. Despite these experiences, Reid says he remained committed to serving and improving the community and helping others be successful. This commitment is reflected in much of the civic work he continues to do today—73 years after he first arrived to Louisville. Whether it is the Meals on Wheels program that he volunteers with twice a week or the leadership role he has and continues to play in helping to engage Russell residents in the Choice Neighborhood Initiative or Vision Russell work, the measure of Reid’s success has and will continue to be what he has done for others. Beecher Terrace resident Laisha Allen understands that for things to grow, they must be fed – sometimes literally but also figuratively. Whether it’s preparing a meal for once strangers to foster her passion for cooking and dream of becoming a caterer, or helping her kids reach their academic goals in schools by engaging in extracurricular programs, Allen understands how impactful her support, encouragement and a home cooked meal can be to others. That is why Allen was thrilled to discover “The Beech” – a tutoring program located in two former Beecher Terrace apartments. It wasn’t long after her middle school daughter began the program that Allen began volunteering at The Beech. Now her other children, including her 4-year old, are participating as well. As Allen considers the changes planned during the revitalization of Beecher Terrace, she hopes that educational programs and other family-oriented activities will become more prevalent at the Baxter Community Center. “Right now, it’s not safe for kids to play outside and there isn’t a lot of activities in this neighborhood that families can enjoy or afford,” said Allen who keeps her kids busy in a variety of extracurricular activities including cheerleading, gymnastics, softball and t-ball.